Looking at homes to buy can be overwhelming at times but there are some basic things to keep in mind when you’re looking for a new home. There are a large number of homes coming onto the market at this time of the year and your next home is likely to be among them. Never settle for less than what you want in a home. At ReMax at the Beach we have what it takes to help you find that perfect home in Brunswick County. We call Brunswick County "home" too. For some people, buying a new home may feel intimidating if it is your first time looking. It is understandable that you'd want to make the best decision possible. We’re here to help you with that. Following are six important things to look for when purchasing your next home. Heating and cooling count for a large percentage of a home's monthly operating costs. An outdated heating and air conditioning system can drive up your electricity bills while decreasing your comfort. Make sure the HVAC system is one of the newer efficient models and has been well maintained. If it’s not new, ask to see maintenance records. Do you like an open concept or do you prefer individual rooms? Decorating a home is easy, but big renovations like knocking out walls or adding rooms can drive up costs. It is better to start with architectural details that already work for you and your family. Pay attention to how one space flows to another, ceiling height, number of rooms and the amount of natural light. Many homebuyers forget to check out this important home feature. A damaged or outdated roof can indicate water damage and mold problems in the home. 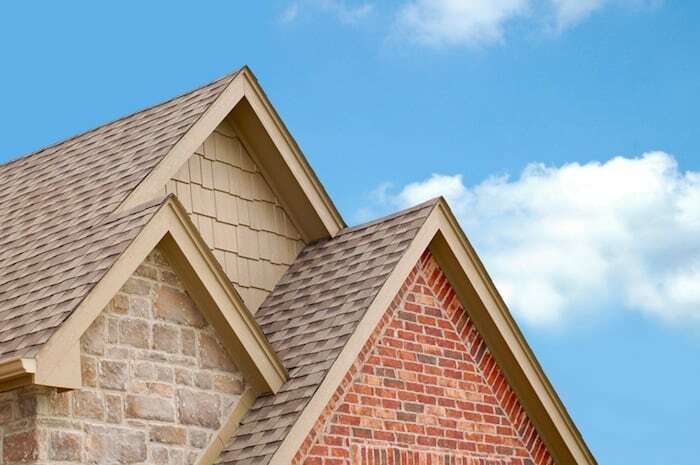 We can supply you with information about any upgrades to a home’s existing roof and the home inspection will provide you with more information you need to know about a home. Old homes can possess a lot of charm, but if you are considering buying a piece of vintage real estate, make sure you have the plumbing thoroughly checked. Old metal pipes can leak or might be corroding and adding visible sediment to the water supply. Upgraded plumbing helps you avoid problems such as burst pipes and high water bills from inefficient plumbing features. The kitchen is one of the most important rooms in the home. Even if you don't plan to spend a lot of time there, you will want to make sure the kitchen adds a lot of value to the home in case you put it back on the market in the future. 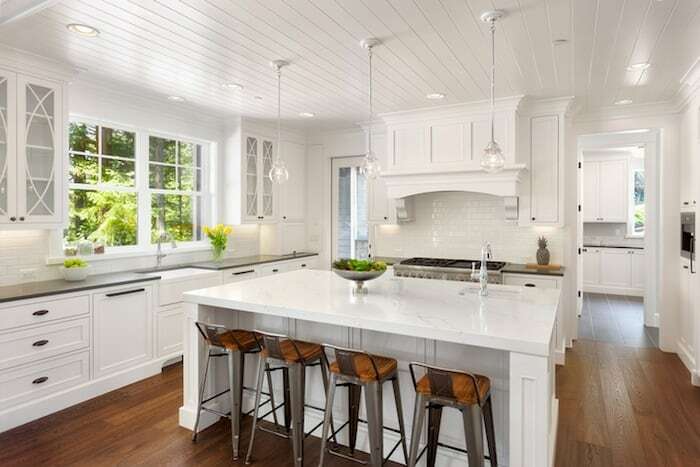 Renovating a kitchen can be costly, so start out with a kitchen you like just as it is. Adding a bathroom is neither simple nor inexpensive. Be sure the home you buy has enough bathrooms to match your family's needs. Two bathrooms at a minimum are ideal. Features such as the finish on kitchen cabinets, countertops, wall colors, carpeting and other minute details can be easily changed after purchasing the home. Put more worth on a sound structure, the right number of rooms and a layout that works for you, and you can’t go wrong when purchasing real estate in Brunswick County NC. With Valentine’s Day right around the corner there are plenty of special events taking place in Brunswick County. We’re going to give you some great ideas how you can make this year’s Valentine’s Day celebration something extra special. From a candle-lit picnic dinner on the beach (weather permitting) to renting one of our Holden Beach vacation rentals complete with a hottub, Jacuzzi and other extras, there’s just no good reason why you can’t outdo yourself again this year. This year why not do more than just the flowers and box of candy. Why not come to Holden Beach North Carolina. There are plenty of restaurants in the surrounding area that have specials going on during the holiday. Give them a call or check online on their websites to see what appeals to you. An alternative would be to make your own extra special dinner for two while staying at one of our vacation rentals complete with candles, flowers, and music (special attire is optional). There are no limits when you’re thinking of a creative way to celebrate such a romantic holiday together as Valentine’s Day is. If you’re on track to become engaged, this is the most fitting time of the year for it. It’s true that this is very much a holiday for lover’s but it was also for people you like a lot, too. Now it has evolved into a holiday to let anyone special know how you feel -- whether it is your children, your partner, a coworker or a friend. We know our vacation rentals will take the holiday over the top for partners and families but the other people, well they’ll just have to settle for a card. Some of the events going on in the area include a Valentine’s Day Bonfire at la Belle Amie Vineyards starting at 12 noon on Feb. 14. The Southern Cape Fear Bridal Showcase will be held on Sunday, Feb. 15 from 1-4 p.m. at the St. James Community Center. Representatives from catering firms, reception venues, entertainment consultants, florists, photographers, jewelers, and more will be on hand to assist in preparation for your perfect wedding in the Southern Cape Fear Coast. Sponsored by 3 Cheers Party Rentals and Seaside Wedding Connection. Admission: $5.00 per person includes tax. Brides Free and receive free wedding planner and rose. Take Your Sweetie to Lunch is being held from 12 noon to 2 p.m. on February 13. Couples and individuals welcome for this fun Valentine party in the Town Hall Public Assembly. The Town of Holden Beach will be providing pizza and participants are asked to sign up to bring salad, dressing, pasta, or desserts. Pre-registration by 2/6/2015 is required. Prize for best cupid costume! Call 910-842-6488 for more information. We understand tradition when it comes to the holidays. We actually enjoy family traditions and all the traditional things about the holiday season. But we realize people do things differently and that some of the younger generation that have come of age want to make their own traditions. So for what is probably the first time ever in any given family you’ll have old traditions taking place with one group of family members and another group beginning their own, brand new traditions. Starting a new holiday tradition can be as easy as 1, 2, 3 and we’ll show you how. If your new tradition involves a trip to the beach you’ll be in good company. There’s such peace and solitude that can be found at the ocean’s edge at this time of the year and many people return every year to experience it. It’s easy to have it become your preferred place to spend any given holiday and thus become your own tradition. 1. First choose the location where you want to celebrate your holiday and begin your new tradition. We’re partial to the Brunswick Island beaches because it’s where we call home. As Brunswick County NC Realtors we have a large number of vacation rentals available from which you can select the perfect spot where you’ll celebrate this year’s holiday. Do you want something oceanfront? We have that! Something small, cozy and more isolated? We have that too! 2. Make your reservations easily online to secure that property you have your eye on but don’t wait. Our holiday vacation rentals fill up fast so the sooner you find and book your preferred rental the better. We’re here to assist you with any questions you may have or if you need our help in any way. Just give us a call at 800-360-9770. 3. This is the most fun step of all! With your bags packed, you arrive at your vacation property. Take a deep breath. This is your new holiday tradition under way! You’ll have access to stores nearby where you can purchase everything you need to make that holiday meal, right down to the tablecloths and candles for the table. Or if you prefer, there are places in the area where you can enjoy a holiday meal out. All of us at Re/Max at the Beach would like to wish you and your family a very happy upcoming holiday season! If you’ve always wanted to buy a piece of land and build the house you’ve always dreamed of on it, now may be your chance. There are thousands of plots of land for sale in Brunswick County, any of which would make an ideal location for your next home or vacation destination. But there are things you should know about buying land before you slap your money down and sign on the dotted line. Purchasing land usually requires a higher down payment than purchasing a home. This is because there are far less buyers looking to purchase land so it’s harder to sell. Lenders take this into consideration when writing your loan requirements and rates. If you purchase a lot in an existing development chances are good it will cost you more because of existing services in the neighborhood. You may have to begin paying homeowners association fees immediately and property taxes will be due. It’s always going to be cheaper to buy land with an existing home on it even if it means you’ll have to remove the home eventually. It’s difficult at best to rent out raw land but when there’s a home already on it you can generate income initially by renting out the home. Before you make your purchase of any Brunswick County land for sale it’s a good idea to research the permits that are required for you to build as well as any restrictions you’ll have on building types, setbacks, etc. If the property you purchase already has permits for the septic field or other things, make sure they will not expire before you actually begin building. Always do your best to obtain a thorough understanding of the adjoining properties and what future plans are for them. You don’t want to buy a future home site that will eventually have an office building or strip mall built next to it. Your Realtor will be more than happy to do the leg work in finding out as much of this information as is available. ?When you’re ready to begin the process of looking at land for sale, give us a call at Re/Max at the Beach by calling 910-842-8686. Short sale properties aren’t your typical exchange of real estate between a buyer and a seller but they are a good way to make money in real estate. These transactions are more detailed, take additional time to process, and the homeowner needs permission from their mortgage lender before accepting any offer. This tends to slow the process down but this is clearly a case of good things coming to those who wait because you can buy property at far less than the appraised value. When you buy one of the Brunswick County NC short sales, the seller needs to go to their lender to have any offer approved. Because the owner is selling for less than the loan amount, the bank must approve the sale and this takes time. Historically, banks are slow to give the thumps-up but things are improving. As of this writing, there are 47 properties in Brunswick County that are being sold as short sales and they range in price from $130k to $2M. From 5 bedroom single family homes to condominiums and manufactured housing, there’s a large assortment of properties to choose from. While there are risks in buying any distressed property, there is more information available on properties today than there were in previous decades. Today’s savvy buyer can learn a great deal about short sale properties before ever signing on the dotted line just by going on the Internet and searching around. The saying “no risk, no reward” often applies to foreclosure and short sale properties. Distressed sales tend to be priced from much below the current market value so the potential to make money on the purchase is great. It’s how many people can afford to invest in real estate for the first time and it usually leads to sound investments that pay off long into the future. Keep in mind that distressed properties aren’t necessarily run down homes. The recession impacted people in all income brackets. It’s not unusual to find high end homes in excellent condition and in good locations being listed among the Brunswick County NC short sales — homes that just might be exactly what you’re looking for. It’s always a good idea, if you’re in the market to purchase real estate, to take a good hard look at the foreclosure and short sale properties. Give us a call at 910-842-8686 or 1-800-360-9770 and let’s get together to see some properties. We hope to hear from you soon. If you’re hoping to build your dream home this coming New Year and you’re looking for a plot of acreage on which to do it, you’re in luck. There are over 2,000 Brunswick County land for sale parcels available for purchase at this time! We have exactly what you’re looking for whether you want to live close to the city, the ICW or oceanfront on one of the South Brunswick Islands. The beginning of the New Year is a great time to finally take action on putting those dreams into play. At Re/Max at the Beach we’re both experienced in selling and very knowledgeable about the large assortment of land for sale in the Brunswick County area. We’re happy to take you out to walk the grounds of any parcels you see listed right here on our website. Before you begin shopping for that piece of land for sale, you should have a general idea of where you’d like to live. Take a drive and explore the county and use online resources to assist you. If you’re planning on raising a family you’ll want to know about the schools, jobs, where to get groceries, medical facilities and what’s available for entertainment. When you’re buying land to live on you should be giving the community itself a close look, too. There are plots of all sizes and price ranges available that are in and/or separate from established communities. We have oceanfront, waterside, bay, river, and canal view real estate perfect for any home you’d like to build on it. In addition, there are lots in some of the best championship golf course communities in the area. Water lovers will love the plantation lots available in some of the newest communities along the coastal region. Things you may incur when purchasing land include a land survey. The land survey could have been recently done, prior to listing, but be sure to ask. You’ll need utilities on the site if you’re planning on building -- things like water and electricity. You might want to consider parcels that already have the utilities onsite. On some land parcels you may need to drill a well or install a septic system prior to home construction. If you're buying a piece of land as an investment, you'll bypass quite a few of those headaches. And if you’re building in an existing neighborhood, the chances are good that those utilities are already there and available to you. No matter what type of property you have a desire to purchase, at Re/Max at the Beach we can help to make the purchase process a whole lot easier! With more than two thousand homes for sale in Brunswick County NC listed in the MLS alone, we feel pretty confident in saying we’ll have more than few homes that will meet whatever criteria you are looking for in your next home. With Christmas right around the corner it’s not unrealistic to believe a cash buyer can be moved in just in time for Christmas dinner. Move in, get decorated, and sit back and wait for St. Nick to come down your chimney at your brand new-to-you home. You can click here to go directly to the list of properties that we have listed or you can read more. We have some multi-million dollar homes to show you in Bald Head Island, Ocean Isle Beach, Caswell Beach, Supply, Hampstead, Oak Island, Holden Beach, Southport, Sunset Beach, Shallotte, and the Willmington areas. In addition we have a nice selection of homes priced $975k to $50k in these areas as well as Yaupon, Bolivia, Leland, Fair Bluff, Calabash, Clarendon, and Tabor City. There are also many homes in the under $50k range located in Southport, Cerro Gordo, Bladenboro, Elizabethtown, Bolivia, Leland, Tabor City, Clarkton, Chadbourn, Southport, Ash, Willard, Whiteville, Boiling Spring Lakes, Hallsboro, Bolton, and Lake Waccamaw. No matter what your price range is, we’re sure to have properties to match it. It’s that time of year where you won’t want to miss the Christmas by the Sea Parade taking place on December 7, 2013, in Southport. A hometown Christmas parade complete with homemade floats, golf carts, beauty queens, boat floats and more. Definitely an event you won’t want to miss. Maybe we’ll see you there! If you’re looking for some great deals on real estate where the cost to purchase is sometimes even below the appraised value, take a look at the foreclosures in Brunswick County that we have to show you. There are many homes among these foreclosure properties that are move-in ready. While a few of these homes could use some rehab and others only need appliances, the majority are in excellent condition and they can easily be yours for the right price. Brunswick County foreclosures are one of the fastest ways to make a substantial amount of money in a short amount of time in real estate. Whether you’re hoping to purchase a property for investment purposes and plan to hold onto to it long term or you want a property to rehab and flip, making some money in the process, there are many properties that will meet anyone's needs. When buying a foreclosure property or short sale, it is important to have patience with the process and not rush it. You are appealing to a bank or other mortgage lender with your offer rather than a homeowner and so the process takes longer. Pretty much you have to make your best offer and hope that if it’s not accepted at least it’s counter offered. But when it comes to foreclosures, there are just no guarantees. Give us a call at Re/Max at the Beach if you’d like additional information about any of the foreclosure properties we have listed. We can be reached by calling 910-575-2200 or 1-800-765-3203. We look forward to hearing from you.